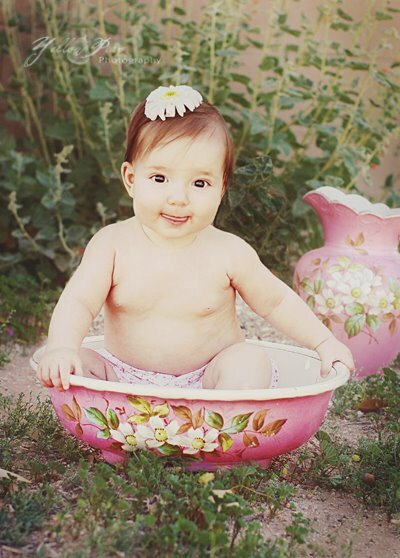 Remember her newborn shoot...the vintage bowl in the desert?? Well, she's already 6 months old...geez louise...time flies. I had the most fun with her and her mom and their wide array of hats, outfits, blankets and bows. This is the quilt her mommy made for her. And then a little old-fashioned shot in a mommy-made skirt. 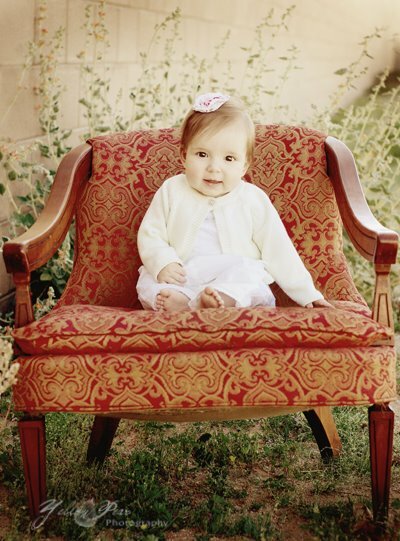 She is not quite pro at sitting unaided so we were super excited to get some sitting shots. What a cute baby!! LOVE the first one ;o) And the one in the chair!! She's gonna be a stylin' little girl!! Those are so so so so Great!!!! I vove the first ones too! They melt your heart and so vibrant with that bright pink. Oh, my word! What fun! Anne Geddes has got nothin' on you, Lou!! 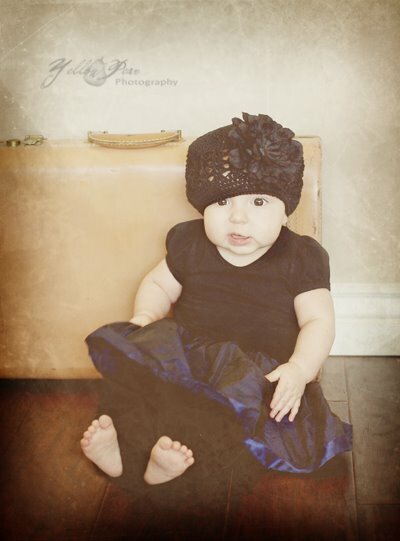 I really like the vintage look of the photos and what a beautiful baby! Beauty meets talent... What an exquisite combination!! I was sad she didn't smile more Wednesday, but the tongue pictures are just adorable. I LOVE'EM ALL!!! She's beautiful even without smiles. I can't believe she's already that old...ours are right behind! I do love the hats. Oh my gosh! I love them all! They are so precious! You did such a beautiful job & she is such a cutie!!! I am getting even more excited for my little guys!!! Yeah! So cute...love all the different shots and poses...melts anyones heart for sure.